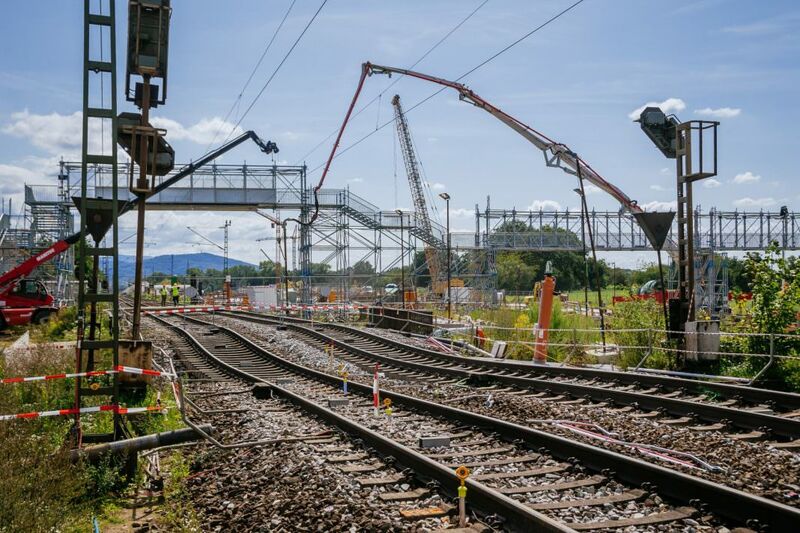 On August 12 last year, groundwater broke into one of two new rail tunnels under construction close to the German town of Rastatt, which is situated on the very busy Karlsruhe to Basel mainline – the busiest double track mainline anywhere in Europe. The tunnel collapse happened at the only point the new tunnels cross under the existing line and significant earth movement on the surface resulted. An almost eight-week closure of the Rastatt tunnel followed, severely disrupting north-south rail freight traffic in Europe. To mark the one-year re-opening of the Karlsruhe – Basle line, Europe’s leading rail freight organisations have come together to highlight the lessons learnt and positive steps taken to ensure such an event won’t happen again, while also acknowledging the need for further action. The European Rail Freight Association (ERFA), Network of European Railways (NEE) and the International Union for Road-Rail Combined Transport said that all sides have committed to tackling the challenges facing rail freight. New rules will avoid ambiguity and discrimination when it comes to allocating capacity on disrupted lines and guarantee a share of capacity between annual timetable traffic and ad-hoc traffic. All of these changes should be adopted by infrastructure managers from the start of the 2019 timetable, in line with the European Handbook for International Contingency Management. The issue of liability must be addressed, not only to resolve the still open compensation payments expected by those who have been impacted by the Rastatt disaster, but also to ensure that in the future an infrastructure manager’s liability is covered under an insurance policy.